Pictured as: the Ocean Atlas (Offshore Tugs) Photo courtesy of: Offshore Tugs Corp. Built in 1964, by San Diego Marine Incorporated of San Diego, California (hull #138) as the Pacific Mariner for the Pacific Towboat Company of San Diego, California. Her construction was originally commissioned by the Olson Towboat Company of Tacoma, Washington. However, the construction contract was never fulfilled. And the nearly completed tug was Pacific Towboat Company. In 1972, the tug was acquired by the Foss Launch and Tug Company of Tacoma, Washington. Where she was renamed as the Wendy Foss. In 1987, she was acquired by the Amak Towing Company of Ketchikan, Alaska. Where renamed as the Chahunta. 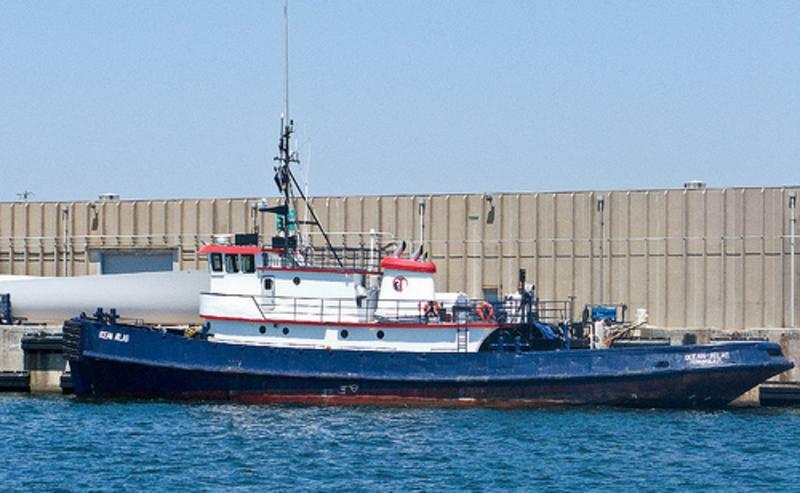 In 1992, the tug was acquired by the Dahl Tug and Barge Company Incorporated of Seattle, Washington. Where she was renamed as the Hunter D.
In 1993, she was acquired by the Island Tug and Barge Company of Seattle, Washington. Where the tug was renamed as the Chilkat Hunter. In 2002, she was acquired by Grimrock Maritime Incorporated of Hialeah, Florida. Where the tug was renamed as the Gimrock Atlas. 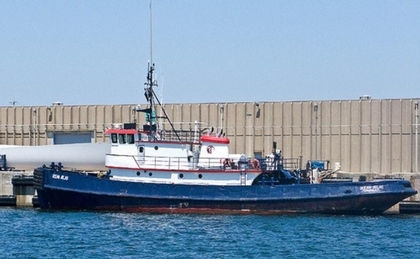 In 2007, the tug was acquired by the Offshore Tugs Corporation of Vero Beach, Florida. Where she was renamed as the Ocean Atlas. Powered by two, EMD 12-645 E-2 diesel engines. With Falk reduction gears, at a ratio of 3.954:1. Turning two, 96(in) by 88(in), four bladed, stainless steel, fixed pitch propellers. For a rated 3,000 horsepower. The tug's electrical service is provided by two, 100kW, Caterpillar 3304B generator sets. Her capacities are 69,000 gallons of fuel, 1,600 gallons of lube oil, 2,000 gallons of potable water. The towing equipment consists of a Markey, TESD-32, double drum, towing winch. With a single drum Markey capstan on her bow, and stern. And a Markey bow winch, with anchor windlass.